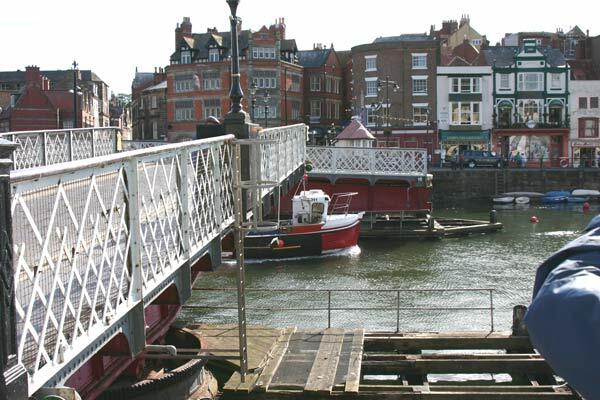 A small fishing boat passing through the swing bridge in the middle of Whitby. 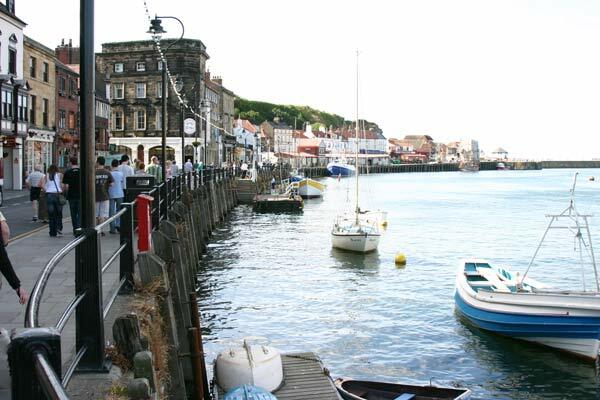 A view along the quayside down river to the fish quay and the sea. 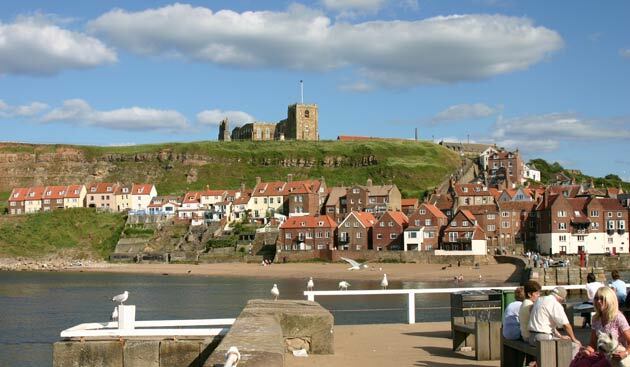 Whitby often features in the TV series Heartbeat - unlike many locations though it doesn't have fictitious name. 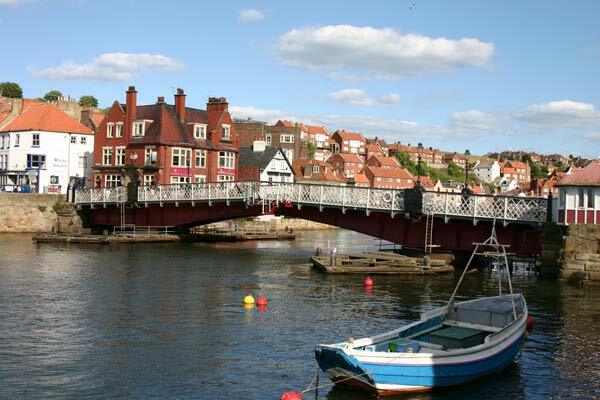 A view of the swing bridge in Whitby. Looking towards the harbour mouth with an unusual pleasure boat putting out to sea - despite appearances she's diesel powered! 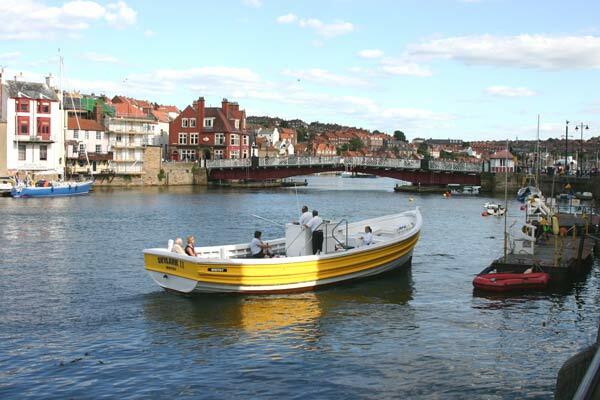 A smaller pleasure craft setting of for an evening trip up river, I guess that she's low enough to go under the swing bridge saving on it being opened for every trip she makes. 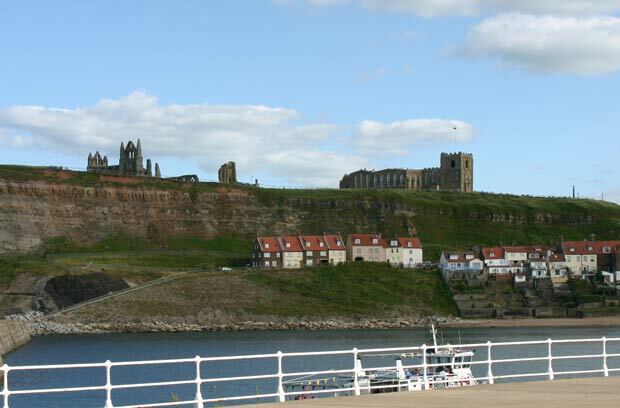 Looking across the harbour towards the newer buildings adjacent to the ruins of Whitby Abbey. From a different vantage point part of the ruins of the abbey can seen. A view from near the harbour mouth looking up river. 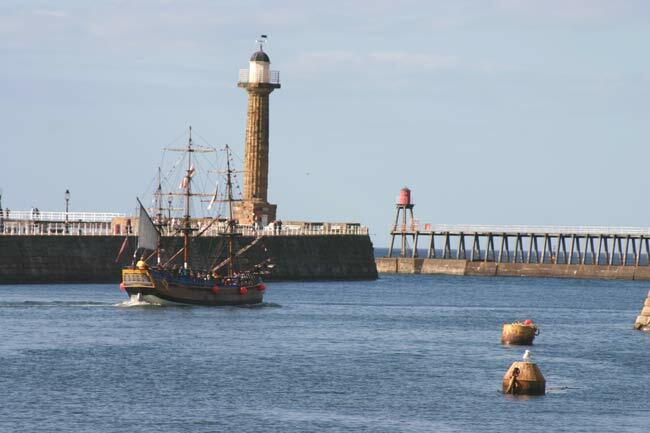 The harbour mouth is protected by these curved breakwaters that will keep the worst of a heavy sea from penetrating into the harbour.